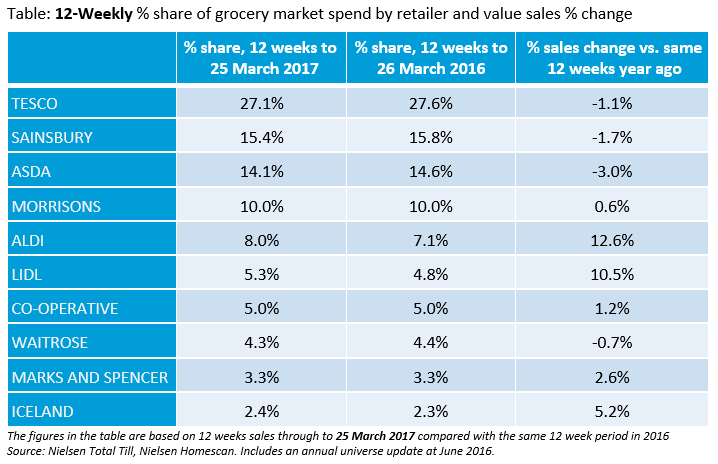 Supermarket promotions are at their lowest level for 11 years as a proportion of consumer spend, according to Nielsen retail data released today. In the four weeks tracked to 25 March, 26% of supermarket spend went on products with temporary price cuts or multi-buy offers – the lowest level since 2006 (also 26%). The fall in spend on promotions is prevalent across all categories, with supermarket’s own-label spend falling most rapidly (down to 18%), compared to branded goods (down to 41%). Year-on-year supermarket sales over the four-week period fell 2.6%, with the late Easter in April having a negative impact on year-on-year comparisons. 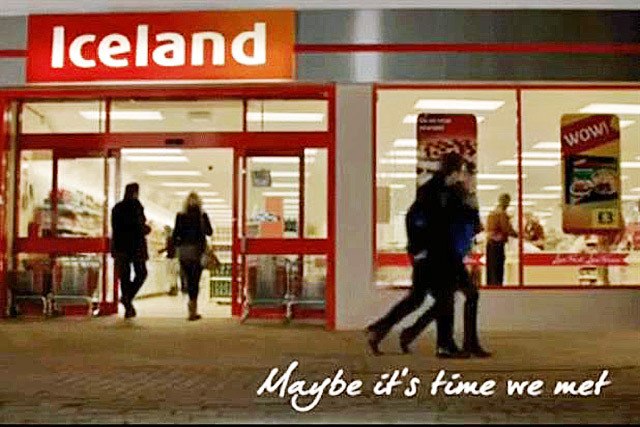 Iceland was the most improved over the 12-week tracked period in terms of year-on-year sales (up 5.2%), followed by Marks & Spencer (up 2.6%) and the Co-operative (up 1.2%). Meanwhile, Morrisons was the only one of the Big Four supermarkets to see year-on-year sales rise (+0.6%). Mike Watkins, Nielsen’s UK head of retailer and business insight, said: "The level of promotional spend has gone back to levels not seen since before the 2008/09 economic crisis. "The last few years have seen about a third of the typical supermarket shopping bill going on promotional items. However, to be more price competitive, supermarkets have turned temporary price reductions into permanent cuts, so there’s less promotional activity as many prices are cheaper all-year round. "There’s also been a shift away from multi-buy to simpler price cuts, which is in tune with shopper needs to make it easier to manage their basket spend."